As technology becomes more advanced, new social media, news and entreatment sites are introduced. People are busy reading, watching, listening and posting to those media sites. However, you need to rest your eyes, brain and body. 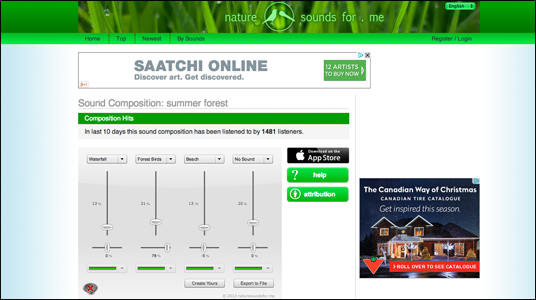 naturesoundsfor.me allows you to find your favourite soothing sounds and mix them yourself to make your very own ambient music. You can also check out other people’s mixes. If you like your mix, you can download it for free! Obtaining better technologies and devices is a good thing. However, for web developers, these new technologies can be a bit of a pain. They need to write new code, adapt to new screen sizes, new devises, tablets, and new versions of web browsers. 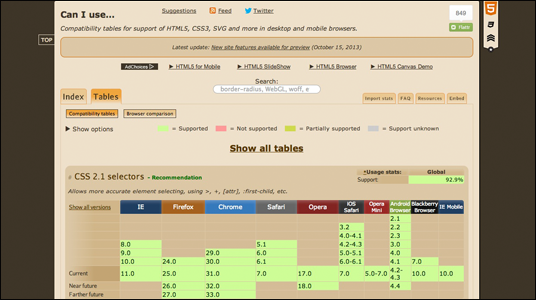 It’s getting more complicated to find which browsers and devises support specific codes. Here is a site to help you. caniuse.com can tell you which versions of web browsers are supporting the code you want to write. Worldwide famous DJs live videos! Do you love to party? Do you enjoy listening to Techno or other electronic music? Are you curious about what your favourite DJ’s are doing on their decks? 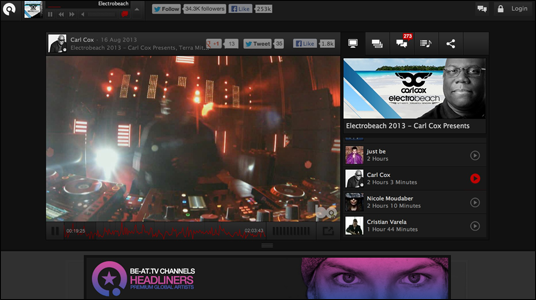 Turn up the sound on your PC and visit “be-at.tv” to see live, online, worldwide parties! 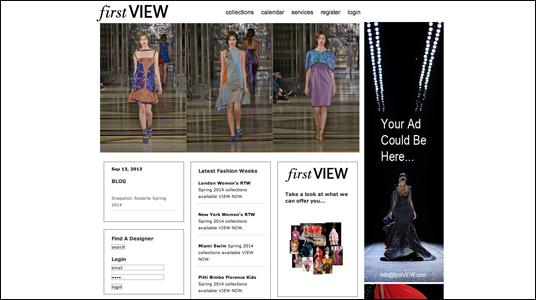 You can search through the videos by Artists, Venues, and or the Events. 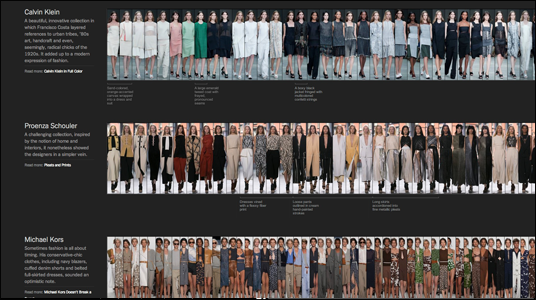 A fashionista’s database of designer collections! Did you experience deja vu when you listened to a song? Have you had experiences when you thought to yourself “I have heard this riff or melody before!” Nowadays, mixing parts of old music to make new songs is a common method to make music. It can especially be found in genres like: Hip Hop, House, Techno, etc. Here are two sites that actually show you where the original musical inspiration came from. 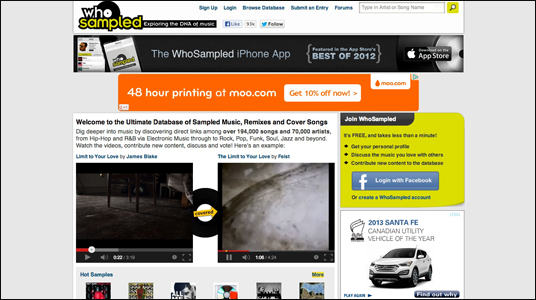 WhoSampled.com shows the original sampled song and the new song where the sample is featured. 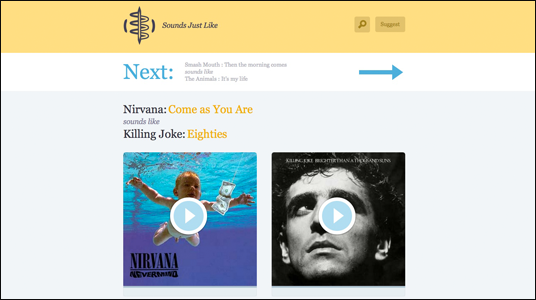 SoundsJustLike.com shows you two resembled songs that feature the same compositions.